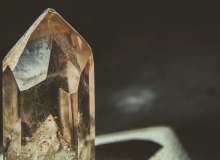 This quiz will determine what gem or crystal is right for you based on its benefits to your mood, surroundings, and perception. The information used to determine the results is a mixture of psychology, mysticism, mythology, etymology, and inference. There are ten different gemstone results you can receive as a recommendation. Please note that I am not a psychologist or doctor and can not guarantee any benefit or actual meaningful results by using crystals or taking this quiz. It is essentially for fun. 1. What do you feel you have been desiring most recently? What have you been most afraid of recently? Do you wish you were better at any of the following? What personality type do you possess? What’s your sun sign/ common sign? Which of the following do you feel you’d ideally like to do sometime soon or do more of? What is the prevalent theme in some of your nightmares, fears, and recent sad memories? Quiz topic: Which gem or crystal do I need in my life now?